Forty-six years ago today on May 18, 1969, the crew of Apollo 10 lifted off from Pad 39B at Kennedy Space Center for what NASA described as “a dress rehearsal for the first Moon Landing.” On board the Apollo Command Module, named Charlie Brown, were commander Thomas Stafford, lunar module pilot Eugene Cernan, and command module pilot John Young. Along with the command module was the lunar module Snoopy – both ships and crew being propelled by the massive Saturn V rocket towards the Moon. This was the first flight of a fully-crewed and equipped Apollo spacecraft to fly to the Moon. The goals of the mission were to rehearse all of the steps of an actual Moon landing short of actually touching down in the lunar regolith. Throughout the mission, data was collected on the lunar module’s flight trajectories, flight control systems, and radar efficiency. This would help mission planner’s put the last pieces of the puzzle together for the flight of Apollo 11 some two months later. The gravitational effect of the Moon on the lunar module’s flight was also studied. Rendezvous and docking were practiced by the Apollo crew, while Mission Control refined tracking techniques and verify course calculations. All mission objectives were achieved. Apollo 10 made history in another way as it provided the first color TV transmissions of the Earth’s surface and ended up doing twelve live broadcasts during the mission, all of which were in color. When all was said and done, Apollo 10 safely splashed down in the Pacific Ocean eight days later. 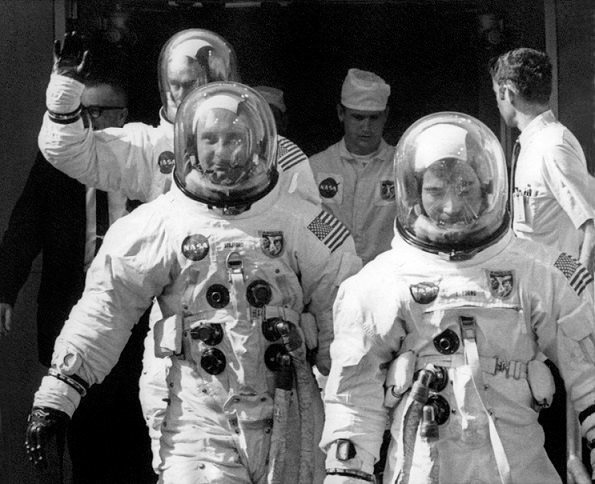 True American heroes and pioneers in manned space exploration. 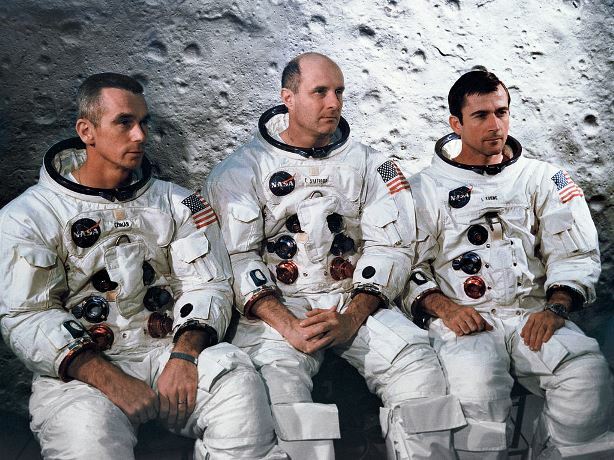 We are indeed fortunate as a nation to have such dedicated men who paved the way for the Apollo lunar landings.